Businesses that allow their employees to respond to calls during work hours are a very special gift to volunteer fire companies. At the Bird-In-Hand Fire Company this cooperation is vital to the fire company’s existence since there are no paid firefighters on the team. Personnel leave their places of work at a moment’s notice and are absent for the duration of the fire or accident. To show the impact that responding to fire calls has on a company’s daily operations, local business leaders were interviewed. 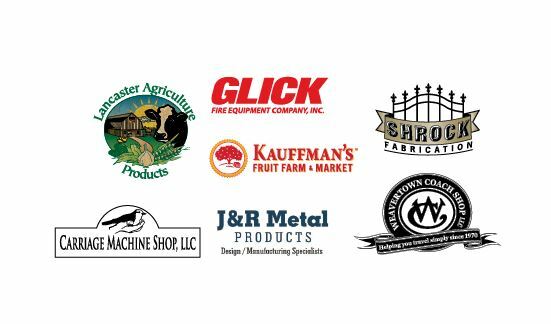 These companies are only a sampling of those who lend daytime manpower to the Fire Company; all local businesses are equally appreciated. Doug Glick – Glick Fire Equipment Company, Inc. These business leaders are or have been firefighters or EMTs who respond to calls while on the job. They understand firsthand the importance of the volunteer system. These numbers change from year to year as new firefighters are trained and long-time firefighters transition into supportive roles. Presently, these companies release 1-8 people when a call is dispatched. While one company interviewed has a long history of firefighters, it currently doesn’t have anyone actively firefighting. Employees do serve the Fire Company in other ways during their workdays. Only one company has a written policy about responding during work hours. The other businesses have pre-planned what will happen when the siren sounds. The season of the year and the work projects that are underway at the time of the call determine how many will respond and which individuals are free to go. When the pagers go off, other employees need to step in for the firefighters who leave to respond to the calls. These employees are also volunteering since they go the second mile and take on extra work. In fact, it takes the cooperation of the whole company to make the volunteer system work, since there can be situations when customers need to wait to be served. There are times when work tasks cannot be covered, such as certain painting procedures; disruption of an assembly line process; or when there are priority projects. Then a split-second decision is made determining who will respond and who will stay back. Other types of work wait until the firefighters return. Then firefighters must give the extra effort to catch up with their work.